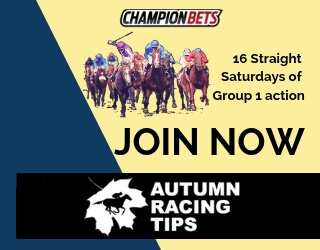 This week we welcome a professional punter from New Zealand to the podcast and to the Champion Picks team. In this episode he talks about the approach required to win in New Zealand and how the skills he learned in his earlier professional career have transferred to the betting world. 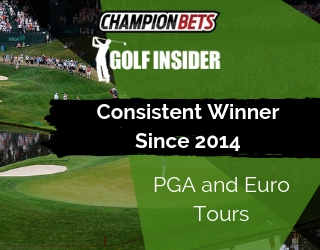 Chris shares his unique perspectives on form analysis, some pointers on his winning methods and some tips on how to secure the best available odds. What Chris looks for when watching trials. Which bookmakers he recommends and how he goes about spreading his bets. Whether it is better to bet early or late. Chris’ thoughts on exotic bets, and the right time to use that approach. 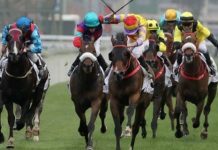 Some good websites for punters who are new to New Zealand racing. Dave: Hi! This is Dave Duffield and welcome to another episode of the Betting 360 podcast. My special guest today is Kiwi Chris. 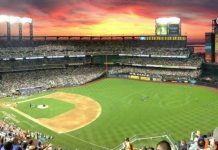 He is a professional punter from New Zealand who has had an amazing run really, just fantastic results that I’ve witnessed live for the past six months. He has only been a full-time professional for the past year, but the results he has been achieving have been excellent and a small part of that he pays tribute to someone that we’ve got on our team – Dean the Trial Spy. Now he has adapted that approach to New Zealand in some ways and also given that a twist and added his own skills and achieving some really good results. So, let’s have a chat with Chris. Dave: Hi, I’m Tim here and I’ve got Chris on the line to run us through his approach to betting in New Zealand racing. He’s got an approach that has been very successful over the last six months that we’ve been in touch and for a bit longer before that. Welcome to the show, Chris. How are you going? Dave: That’s good. Might as well start off with just tell us a little bit about your background, your career prior to betting and then also how you got involved especially trading and then on the betting side of things. Chris: Sure well. I was actually in the electrical industry for around fifteen years. Then I went back to school, so to speak, and retrained within the fitness industry where I was basically self-employed. And, as I was doing that, I was sort of tinkering with the trading on Betfair and playing it, pumping it a little more seriously. Dave: So, you mentioned your background as an electrician. Any skills that cross over to the betting world? Chris: Ah, yes, I guess, just the ability to, the attention to detail so to speak and also the ability to sort of analyze situations and look at the data and take the information that you need from there and siphon out the stuff that you don’t. Dave: All right, so you’ve had a couple of career changes, electrician, and then fitness industry and then the Betfair trading. What where you doing there? And, how did you go? Chris: I was primarily trading pre-race on Australian racing and a little bit of the U.K. stuff as well. I found that to be quite successful. So that’s when I started to get out of the fitness industry and focus primarily on the trading. Dave: And why did you not continue to do that? 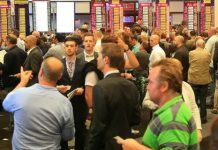 Chris: Basically, around a year ago the Betfair introduced the turnover tax, certain states in Australia, and which is pretty much 90% of where my trading was, so that took quite a big chunk out of my profit so I started looking into alternative sort of income streams. Obviously when I was trading, I was watching a hell of a lot of racing so I decided I’d have a look at just straight out punting. Dave: And how long has that been going? Is it roughly a year? Chris: Yeah, about a year, about this time last year. Dave: All right. How would you describe your approach? What are you looking at when you’re doing the form? Chris: Well initially, around this time last year I think that the Trial Spy kicked off. So I basically applied the same principles that Dean was using to New Zealand races, just watching by the trials, analyzing the time and started looking for when most horses were tuning up on race day. Dave: All right, so when you are doing the form, the trial part of it. Are you doing a similar approach to Dean in that you’re trying to get a more accurate assessment of each horse through not only the times, but just how much effort the horse was asked for? Chris: That’s right. Yeah, I’m looking at how they are ridden in the trial. 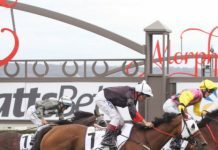 Different trainers ride their horses differently in trials as they do in Australia where the horse was snagged back and ran on, or under a hold, or those sorts of things. I mean just looking at the actual times they are running, I think that gives you a pretty good guide on the horse’s ability. Dave: Well, obviously, the trials is one part of it. What about trainers and jockeys? How do you include that? Chris: Well, I mean, there’s a few trainers in New Zealand who largely are the most successful. The hard strike, so you definitely keep an eye on those. When they’ve sort of got these top guys riding for them, that’s normally a good guide as to what they think of a horse. If they’ve got a … say Cameron’s riding a Bridgeman horse in trial and then on race day he’s on there again, you can get a good idea that the horse is going to be reasonably handy. Dave: And what about sectional times? Does that apply when you’re doing the form? Chris: I have a big part here. Obviously, if a maiden horse can run, it’s like 34-35 seconds, whatever, on the day and that compares well to a horse which has already won races they’re running similar times to their horse then you know that your maiden certainly has the ability to win a race at least. Dave: When you’re doing the videos, what are you looking for? Chris: I compare the horses’ run. Does it get out of the barrier well? Does it relax? What sort of head carriage? Is it awkward? Does it have a nice sort of stride? Does it take the turn well? All the things you’re looking for on a race day form as well. You’re looking for nicer legs. Animal that if it has tender foot, all the better. Dave: So the way Dean operates. I was going to say unique. It’s not unique, but it’s a bit unusual in that once he’s black-booked a horse from a trial, it’s very had to get out of it. Like, basically he’ll follow it until it wins whether that’s its first start or he’ll stay up with the horse. He’ll always see it through to its maiden win even though that’s 4, 5 or 6 starts later. Is that the approach you take or is every race its own form analysis process? Chris: You have to have a look at a race in its entirety when you’re looking to punt into one. But definitely if you see a horse which has shown that ability in a trial that compares with higher graded horses that you know have the ability and whether it produces on its first race day, things might go wrong or it sneaks raced out, I think it’s worth following at the right price, of course. Dave: Do you concentrate on a particular part of New Zealand? Chris: Primarily, the sort of Northern districts, so that’s the Northern part of the North Island I guess. Generally because most maidens have had a public trial, so you get a good feel of most of the horses that are running around there. Dave: So in the Southern or Central Districts they don’t have the trial? Chris: You have various local jump outs and local trials, but a lot of those aren’t … there is no video footage of them, so that’s a lot of guesswork involved there. Dave: Sounds like Victoria. Do you concentrate on a particular class of race? Chris: Yeah, well, obviously in terms of the trial watching, I’m looking mainly at maidens and the 2-year- old races and into the 3-year-old races. Dave: All right. So you’re heavily trials-focused when you do the overall form, so then it comes to race day how do you determine a rated price. How do you back these horses? Chris: Look at the race as a whole and that’s for each horse … I give them a grade to each horse, break down the whole race into sections of horses I think can win, horses which possibly can win that sort of thing and then I’ll give them a price according to their grade. Dave: So in terms of betting then and you mention the staking. Having an edge is one thing, but getting set is another. Which bookmakers do you recommend? How do you go about spreading your bet so that you don’t have accounts closed in every second day? 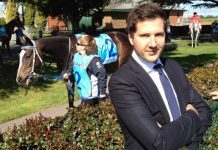 Chris: Obviously, multiple accounts with all the Aussie corporates and the local New Zealand TAB and Betfair and then, it’s just a matter of getting a little bit on at each place. Dave: Yeah, it needs like a long term view. I think I mentioned the chat we had a while ago when I had my podcast with the corporate bookie insider. If you really take a long-term view you understand that it’s going to be times when you take a slightly lesser price, but over a number of years, at least your account is still active and you can keep chipping away, keep winning money. Chris: That’s right. I mean, you can’t get too greedy even if you see a ridiculous price come up. You’ve just got to keep your discipline and think that in 10 years’ time, I’m still going to have an account with these guys so keep those staking down to a reasonable level. Dave: Yep. How do the New Zealand TAB work? Do they take a decent bet? Chris: They can do. I think I’ve read a few articles recently that they’re banning punters. I don’t know if they claim to be banning just there. I’d use the same approach with them as I would with the Bet 365 and Sportsbet and that sort of thing down so keep your labels down under the radar if possible. Dave: Yep. So do you typically bet early when the price starts to become available or leave it till fairly late? Chris: If the early prices come in and I see some value I’ll take a little bit there. Then obviously I generally monitor the process through the day. Whenever the price looks good or if I don’t get something early, then I’ll just wait until closer to the off to try to get my bets on. Dave: Yeah. What about Betfair? I imagine the liquidity only really gets going late. Chris: Yeah. It’s relatively poor early on. It’s normally a couple minutes before the off that you will get some liquidity data to bet with. Dave: What about the exotic side? It’s mainly Win bets, but it’s also some exotics like Quinellas, Trifectas. When or why do you use that approach? Chris: If I’ve analyzed the race and I’ve seen maybe four or five realistic chances, I’ll look at maybe betting a couple at the top and then using a using a side attack bet using Exactas, Trifectas, or Quadies depending on how I see the race. Dave: Tell us about the results that you’ve been achieving. It’s not news to me because we’ve been in touch for quite a while, now. But just to give people an idea of what kind of and edge you’ve got and what kind of results you’re getting based on a standard approach which is to have a 100 unit starting base and typically outlay 1 1/2 to 2 units a race, somewhere around there. What kind of results have you been achieving? Chris: Relatively consistent averaging 20-30 units a month. I think during the winter period I maybe got down to maybe 5 or 10 during a month. But, lately with the track sort of being a little bit firmer, I’ve been averaging around 20-30 units per month. So, it’s been pretty good. Dave: Yeah. Those are excellent results. You mentioned winter. How do you vary your approach when there are wet tracks because we can complain to ourselves here in Australia when there’s heavy tracks, but you guys certainly get your fair share as well. Chris: Yeah, well, the weather obviously over here is a little bit changeable but I think there’s definitely profits to be made. You get horses crossing over from the firmer tracks to the wet which is sometimes underpriced I guess and you get the wet trackers coming back. They can often be, because they’ve got no form, they can often be a decent price, so you’ve just got to be thorough with your form. Dave: During the 12 months you’ve been doing it seriously, have you had a losing month? Chris: I don’t think so. I think I broke even one month early on which was a bit more of a money management issue I think. Obviously looking to improve all the time smoothing things out. Dave: That’s an excellent result. To go a 12 month period and not have a losing month, that’s fantastic. What time are the tips normally ready? And what occasions are the later updates? Chris: Generally I like to get them an hour prior to the first race, or at least an hour prior to the first race we’re betting in. But obviously weather can change and tracks can go from a good 3 to a slow 7 in a good hour in New Zealand so we do a bit of a weather watch and we might do updates during the day if the track has changed, or even how that track is playing. The inside is off. We’ll look to update things. Dave: Is it fair to say you prefer to proceed with caution rather than go out all guns blazing? You play the patient game in terms of the volume of the bets, or at least when they were alerted, just to make sure you have got a good idea of how the tracks play? Chris: Ah yeah, definitely. I think that’s the way to game. You do all your form but then the track is doing some strange things and you’ve got to be prudent and think long term. If you really like a horse in a race, but the track is downgraded to no good then you have a call. Dave: We’ve got a bunch of guys on our list but only a few are living in New Zealand, but there’s some other people who probably only follow the big races in New Zealand or maybe do some form when some of your runners come over here. If guys are fairly new to the New Zealand, what are some good websites they could take a look at, either for form or for news, anything like that. Chris: The one I primarily use is nz.racing.co.nz You can get all the form on all the runners there. They got video form of their race days and of their trials. There’s a good little section on breeding there. You can look up who your horse is related to, who its sire is, family of the dam, that sort of thing. It’s quite good if you’ve got the time to go through that. Even the little time form site. They have a bit there. There’s some comments there that give you a guide on who they’ve bred as well and then you just got the basic new site, sort of stuff. A website which has a little racing section. Dave: Good stuff. All right. It is interesting that one year on from the trial spy launch we’ve got this service launching as well, and Dean made the 220 units last year, so no pressure on you to repeat that! Chris: I am looking forward to it. Dave: Great to have you on board now. If you have any questions, there’s ways of getting in touch with Chris to answer those about how we’re going to attack the New Zealand racing. So thanks everyone, for listening in.